Are you unhappy with the appearance of your smile? If so it may be time to consider dental veneers. Dental veneers are ultra-thin, custom-made shells of tooth-colored materials that are designed to be placed over the front of your tooth to change its color, shape, size, or length, and improve your smile. 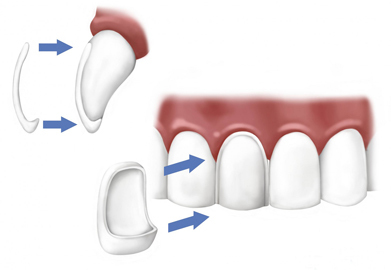 Veneers can be made form either resin composite or porcelain materials. Porcelain veneers are stain resistant and appear more like your natural teeth than composite resin. However, both have their own benefits so you will need to discuss which material works best for you with your dentist. Finally transform your teeth and get the smile you’ve been dreaming of by scheduling your consultation for veneers at Country Isles Dental today.